Dear trader, thank you for your message. I would like to take this opportunity to explain everything in more detail. 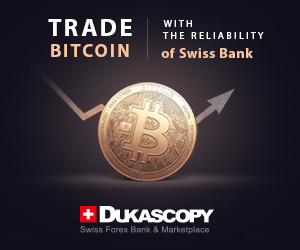 We work hard to provide services of the utmost quality and bring 100% fair trading practices, the best interbank execution practices, and the right environment to meet the needs of professional traders. We would like you to invite you to get in touch with us. We would be more than happy to make everything clear. Do not hesitate to contact us anytime! However, every money manager works and decides on their own, with their own trading strategy. Money managers are absolutely separated from Axiory. Therefore, we can’t be responsible for their decisions, or guarantee any future profits. We continually develop, innovate and provide technologies, services and solutions of the utmost quality both for money managers and self-traders. We received an indication that unusual activity is happening on several trading accounts. As per the regulations and agreements with liquidity providers we had to gather detailed information about the trading activity, analyze it and make everything clear. This rare situation took the necessary time and actions to perform. In the shortest possible time, the withdrawal request was successfully processed. We would like to assure that we do our best to satisfy all our clients and build long-term partnerships. I earned $13 000 at this company, as a result blocked the account. Referred to that their supplier of liquidity asked me to disconnect, having referred to arbitration. I requested proofs of that I use arbitration and asked to announce the supplier of liquidity. They refused to me everything, having referred to that is military secret. As a result money doesn’t give me, to letters doesn’t respond. They have a http://www.ifsc.gov.bz regulator, it also doesn’t respond to my requests. A conclusion, the company what not STP, but usual roguish kitchen, didn’t even give my got money. I’m writing this to try and persuade all you good but gullible people out there who still have Managed accounts with Axiory…( Get your money Out now ), that’s if you have any left ! Listen you will Not get rich quick, but you will get Poor very fast ! ! ! Why do you think they have relocated to Belize from the Seychelles, to many Lawyers chasing them, that’s why. I will say this again to…do not believe anything you see on thier glossy website or read on thier chat line. Believe me if your Managed account/s fail…as mine did, and you like me lose money, there is no recourse ( Its`gone ! ) this is why they stay out of the juristiction of America / UK etc. Axiory are Scammers !…these people are nothing more than a group of opportunists from eastern Europe, enjoying one long party in the Seychelles at their Investors expense. I know because they lost over 60% of my money $10,000 US$ plus in minutes when their Trading machines failed catastropically ! They did admit liability via an email but have since refused to refund me, and have also refused to give me their Lawyers contact details. Beware, these people know they are untouchable whilst they are in the Seychelles as SIBA ( Seychelles International Business Authority ) will not respond to any complaints related to Axiory, however I believe they have now lost that registration and have bought a new one the IFSC ( International Financial Services Commision ) based in Belize…listen to me your money is not safe with Axiory, just walk away ! ! !